Hugh Jackman: Back on Broadway was a concert residency by Australian actor, singer, and producer Hugh Jackman. For this residency, Jackman performed Broadway and Hollywood musical numbers backed by an 18-piece orchestra. The show was directed and choreographed by Warren Carlyle. ^ "A Mass of Flirtation". The New York Times. Retrieved 2016-07-17. ^ Marks, Peter (2011-11-10). "Hugh Jackman, back? He IS Broadway". The Washington Post. Retrieved 2016-07-17. A concert residency is a series of concerts, similar to a concert tour, but only performed at one location. An artist who performs on a concert residency is called a resident performer. Concert residencies have been the staple of the Las Vegas Strip for decades, pioneered by singer-pianist Liberace in the 1940s and Frank Sinatra with the Rat Pack in the 1950s. Hugh Jackman: in Performance is a music concert by Australian actor, musician and dancer Hugh Jackman. Jackman performs his favorite Broadway and Hollywood musical numbers supported by a 17-piece orchestra. 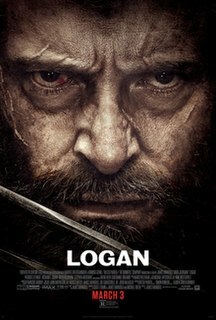 Hugh Jackman: in Concert is a music concert by Australian actor, musician and dancer Hugh Jackman. Broadway to Oz was a 2015 concert tour by Australian actor, musician and dancer Hugh Jackman. He performed Broadway and Hollywood musical numbers backed by a company of 150 musicians and dancers. The concert show was produced by Dainty Group and Robert Fox Ltd. The show started in Melbourne on 24 November 2015, touring through Sydney, Brisbane and Adelaide, before closing in Perth on 15 December, 2015.